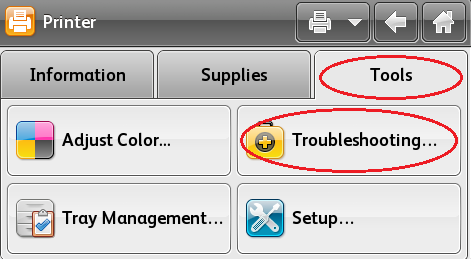 Select the [Tools] tab, and then select [Troubleshooting]. Select [Smears, Smudges, and Streaks]. Select [Start Cleaning]. 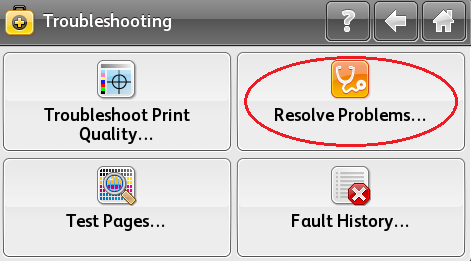 Several blank pages will feed through the printer to remove any Toner (Dry Ink) accumulated on the Fuser.